Gotta say this is a cool mod, however I partially ran into the same issue as Junior. So most of the scripts I installed are inside the scripts folder while a few others such as ModLoader, SkyUI, Mobile Style Loading etc. are in the root directory. Once I installed MoonLoader, SkyUI couldn't find GInput anymore, even though it was installed. I moved GInput in the root directory and game worked fine at the menu, however once I started a new game, it was loading like the vanilla game, even though I have the Mobile Style Loading mod installed. Is it possible to make this mod less location dependent? It's actually moonloader that is causing that,not letting asis from /script to be loaded. Modloader is in the root directory, and prior to installing this mod everything worked nicely. The scripts folder is not inside modloader folder, though. osh*t I thought this was modloader's thread lmao. But possible solution remains the same,move all asis to root folder. Still is really weird that moonloader messes up the loading of asis, I wish they could fix that. Yes, there was a problem in MoonLoader and it already fixed in v.024. Fix is published but not yet released officially, there was a few things needed to be tested before. For now you can download v.024 from here or wait until v.025 will be released in the coming days. Distro now includes libraries 'lua-iconv' and 'encoding' that can help developers with different text encodings. Also library 'windows' was included, currently it contains only window message ids. All steps of Lua-script initialization now carried out only after loading and checking script. Thereby script loading is faster when it goes to failure. Wanna show something to devs, I don't like posting lots of code in this thread, but the development thread is somewhat hidden from eyes, so I posting it here. Here is the primitive example with new events introduced in .025. It shows how to draw anything over the game's picture using DirectX APIs directly from lua. Note that via CLEO, MoonLoader and SAMPFUNCS it was not possible to draw post-effects and symbols from symbolic fonts, and in general everything was limited to primitive elements. Don't be scared of many lines of weird code, the big part is occupied by FFI declarations. The example itself is not impressive, I know, but this feature gives opportunities to make impressive things. This can be used for even more, for example, you can create dll-module with lua bindings for existing GUI solution. Perhaps you should move the development thread to the Tools section.Coding section is used more like "Help me with this code"
I downloaded the moonloader setup and ran it through virustotal.com and it got 4 detections, so i'm kinda worried about running it. I'm aware they could be false-positives, but they could also be real threats. Great Just great would this day get any better...? i was just wondering can the moonloader's files (.lua) work fine if created using Microsoft visual studio Code...? Sorry for a minor bump, but I need help. Anyway: I tried to load the weapon spawn script, but nothing happned in-game. [22:30:44.667563] (system)    Session started. [22:30:44.667563] (debug)    Module handle: 0F900000MoonLoader v.025-beta loaded.Developers: FYP, hnnssy, EvgeN 1137Copyright © 2016, BlastHack Teamhttp://blast.hk/moonloader/[22:30:44.667563] (info)    Working directory: B:\Spel\GTA SA (för sa-mp map editor)\moonloader[22:30:44.667563] (debug)    FP Control: 0009001F[22:30:44.667563] (debug)    Game: GTA SA 1.0.0.0 US[22:30:44.667563] (system)    Installing pre-game hooks...[22:30:44.668563] (system)    Hooks installed. 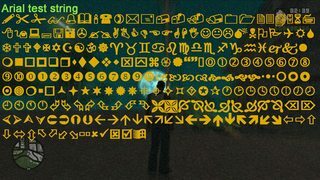 [22:30:45.090587] (debug)    Initializing opcode handler table[22:30:45.090587] (debug)    package.path = B:\Spel\GTA SA (för sa-mp map editor)\moonloader\lib\?.lua;B:\Spel\GTA SA (för sa-mp map editor)\moonloader\lib\?\init.lua;B:\Spel\GTA SA (för sa-mp map editor)\moonloader\?.lua;B:\Spel\GTA SA (för sa-mp map editor)\moonloader\?\init.lua;.\?.lua;B:\Spel\GTA SA (för sa-mp map editor)\moonloader\lib\?.luac;B:\Spel\GTA SA (för sa-mp map editor)\moonloader\lib\?\init.luac;B:\Spel\GTA SA (för sa-mp map editor)\moonloader\?.luac;B:\Spel\GTA SA (för sa-mp map editor)\moonloader\?\init.luac;.\?.luac[22:30:45.090587] (debug)    package.cpath = B:\Spel\GTA SA (för sa-mp map editor)\moonloader\lib\?.dll;[22:30:45.090587] (system)    Loading script 'B:\Spel\GTA SA (för sa-mp map editor)\moonloader\AutoReboot.lua'...[22:30:45.090587] (debug)    New script: 08A5C754[22:30:45.092587] (system)    ML-AutoReboot: Loaded successfully. [22:30:45.092587] (system)    Loading script 'B:\Spel\GTA SA (för sa-mp map editor)\moonloader\check-moonloader-updates.lua'...[22:30:45.092587] (debug)    New script: 08A5DA9C[22:30:45.093588] (system)    Check MoonLoader Updates: Loaded successfully. 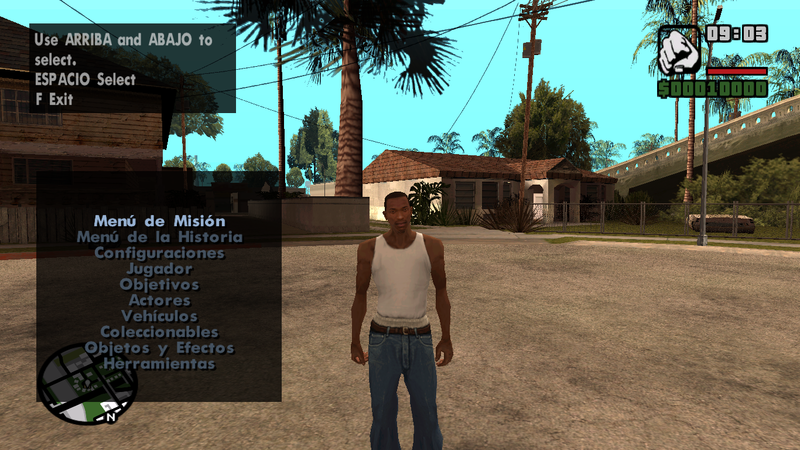 [22:30:45.093588] (system)    Loading script 'B:\Spel\GTA SA (för sa-mp map editor)\moonloader\reload_all.lua'...[22:30:45.094588] (debug)    New script: 08A5DC44[22:30:45.094588] (system)    ML-ReloadAll: Loaded successfully. 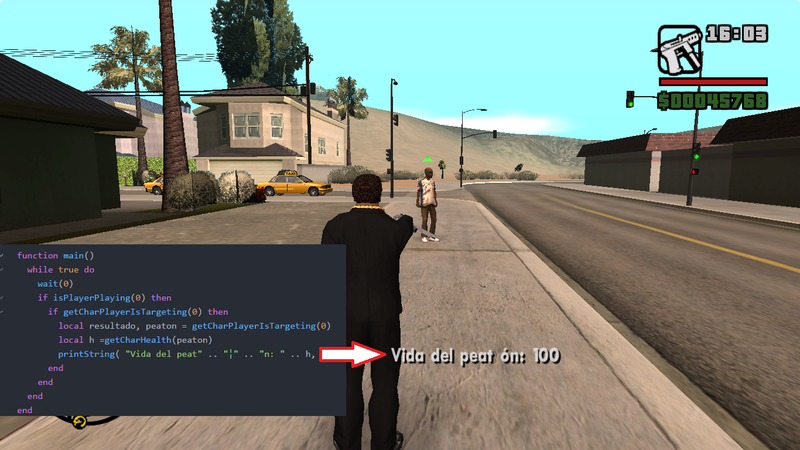 [22:30:45.094588] (system)    Loading script 'B:\Spel\GTA SA (för sa-mp map editor)\moonloader\SF Integration.lua'...[22:30:45.094588] (debug)    New script: 08A5EDEC[22:30:45.096588] (system)    SF Integration: Loaded successfully. 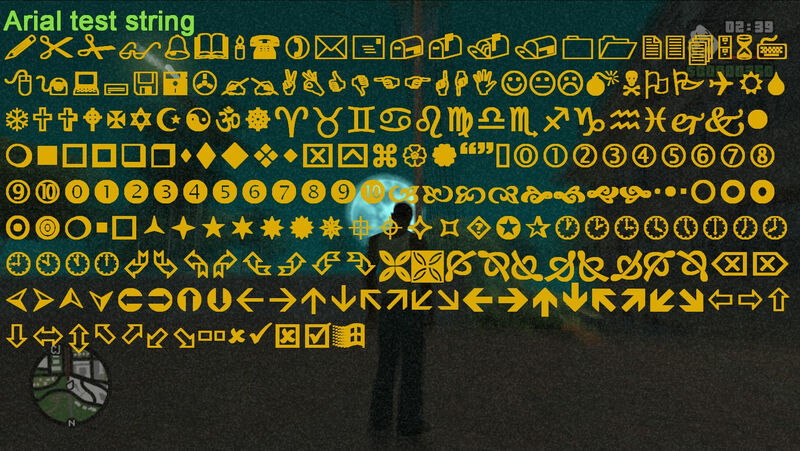 [22:30:45.096588] (system)    Loading script 'B:\Spel\GTA SA (för sa-mp map editor)\moonloader\weapon menu.lua'...[22:30:45.096588] (debug)    New script: 08A62F94[22:30:45.098588] (system)    Weapon Menu: Loaded successfully. [22:30:55.615189] (system)    Installing post-load hooks...[22:30:55.615189] (system)    Hooks installed. [22:32:35.027875] (system)    Unloading...[22:32:35.027875] (system)    ML-AutoReboot: Script terminated. (08A5C754)[22:32:35.027875] (system)    Check MoonLoader Updates: Script terminated. (08A5DA9C)[22:32:35.028875] (system)    ML-ReloadAll: Script terminated. (08A5DC44)[22:32:35.028875] (system)    SF Integration: Script terminated. (08A5EDEC)[22:32:35.028875] (system)    Weapon Menu: Script terminated. (08A62F94)[22:32:35.162883] (system)    Session terminated. If you ever need to find me, follow the ashes. [16:09:00.109375] (system) ML-AutoReboot: Loaded successfully. [16:09:00.125000] (system) QuickMap: Loaded successfully. [16:09:00.125000] (system) RapidFire: Loaded successfully. Does not happen if no scripts are installed. Game crashes even if an exampe script is installed. Can someone help me with my problem aswell? Thanks for the suggestion. I tried both, together and separately. Didn't work. The same error as above. Loading a saved game works fine. Error only occurs when starting a new game. But I didn't even install CLEO! Sure. You can use any text editor. On the second question, i think samp patches some parts of game to get it working, so perhaps you will have to implement these patches for SP. Yep, there is a bug in MoonLoader, it will be fixed in the upcoming update. Great upgrades. I would like to use it! I'm just ordering my assignments and start. The main changes in this version are the significant improvement in error handling and the complete cessation of dependence in CLEO. In addition, all the opcodes for drawing 2D-elements on the screen from SAMPFUNCS have been replaced with built-in functions, and therefore only functions for working with SA-MP and DXUT are remained from the functions of SAMPFUNCS. Improvement of error handling became possible due to upgrade to LuaJIT 2.1.0-beta3, from now on MoonLoader guarantees the reliability of processing all errors in scripts (except for errors in direct interaction with the process memory) and will display more detailed diagnostic information. In LuaJIT 2.1 there are several other useful changes. A painless transition from dependency in CLEO was made possible by implementing a sound system from CLEO to MoonLoader, so backward compatibility in scripts that use functions for audio playback is not violated. The borrowing of the sound system from CLEO was carried out with the permission of the author of the library, so many thanks to the CLEO developers. In the rest, was added a few small features and bug fixes. With all this said, these two big changes fixes two main issues in MoonLoader that were noted in this topic. There are more things to do, but we're getting closer! Compiled Lua-scripts (.luac) for earlier versions of MoonLoader will not work on this and the following, and vice versa, so a convincing request to the developers: recompile your scripts to the new version or publish the source code, if possible. It is necessary to speed up a process of transition to the new version and that users do not have to choose between new and old versions. If game was already started when you starting new a game or loading savegame, all loaded scripts will be restarted automatically, except for those which has the property forced-reloading-only. It would be nice if it had extension also for Visual Studio Code. It would be, it was in plans, but unfortunately I can't work on this for now. You can try the package vscode-lua and this for the time being. I started doing this days ago. Been using this for the past 5-6 months, can say it's absolutely great and mod developing has gotten much easier since then, but I notice one thing is missing, a way to upload data to a MySQL database (so I can keep track of all my mod's users), or just to contact the internet in any way. I really love Moonloader, actually I am studying Python lenguaje and I had never seen LUA but it's similar. But I have a problem, which is that I love writing with good spelling (in my language, in English I write like sh..), and apparently Moonloader has another interpretation to write Latin Spanish characters. I mean, in .GXT or CLEO to represent, for example, the á, é, í, ó, ú I must put other special characters and print them to me wonderfully. In LUA ... nothing, I doesn't print what I'm looking for, only the ó is well displayed but leaves a space for some reason. The direct question would be, is there any way to write special Latin characters in LUA or not? In Moonloader... How I can do that? I heard MTA uses similar script. So is it possible to use those directly in moonloader? For example, dynamic vehicle sounds. how do you enable interior to enter and garage while in 2 player and where is that lua location at?